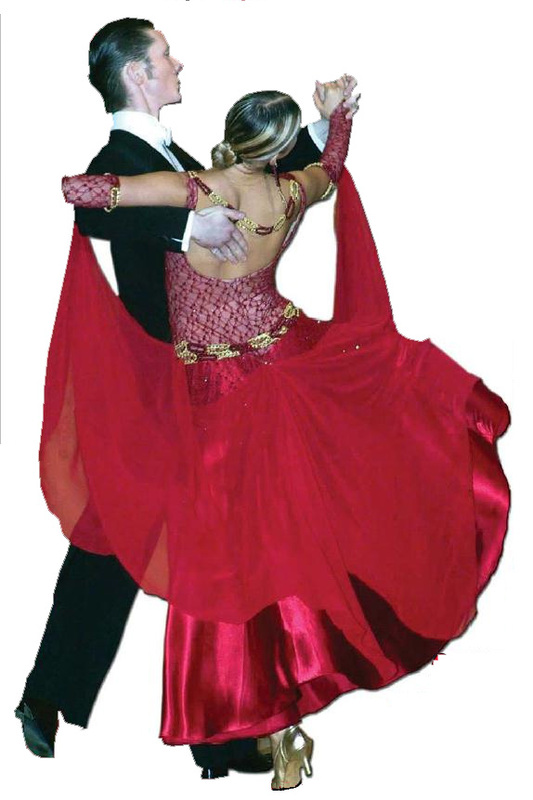 Dance Art Studio presents Valentine Dinner-Dance Ballroom, Latin, Salsa, Disco on Sunday Feb 10 in Markham. Dance Art Studio invites you to their New Year’s Eve Ballroom, Latin, and Salsa Dance & Dinner Party at Star Walk Buffet Restaurant. 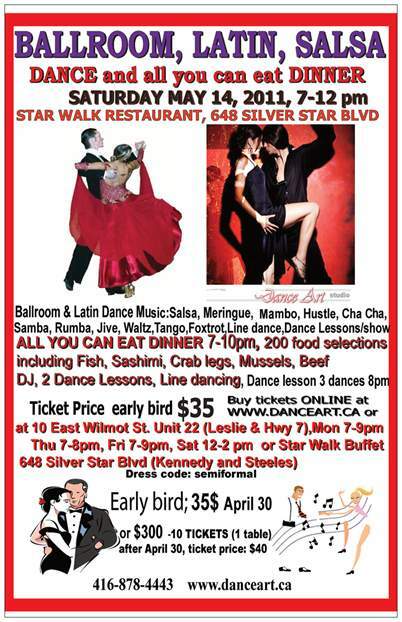 On Saturday, May 12, 1011 at 7 PM you are cordially invited to a BALLROOM & LATINC DANCE all you can heat DINNER at STARWALK RESTAURANT with DJ playing ballroom, latin and salsa music (as well as strict tempo: bachata, cha cha, samba, rumba, meringue, swing, tango, and viennese waltz). Semiformal dress code required. 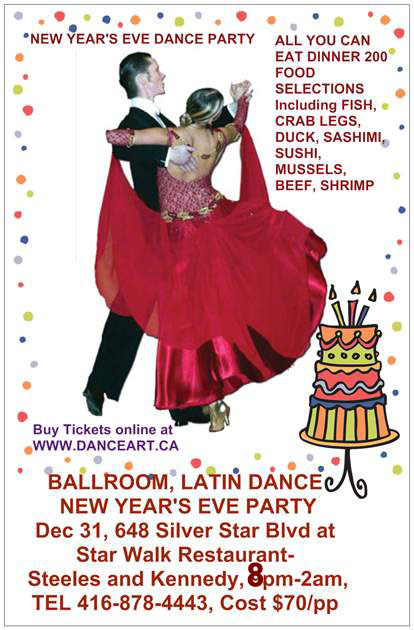 BALLROOM, SALSA, and LATIN DANCE DINNER New Year’s Eve , DEC 31, 2010 from 9PM to 2AM STAR WALK BUFFET RESTAURANT 648 Silver Star Blvd, SCARBOROUGH, ON M1V 5A3 Just south of Steeles & east of Kennedy, FREE PARKING ALL YOU CAN EAT SIT DOWN DINNER 200 FOOD SELECTIONS (beef, duck, fish, crab legs, sashimi, sushi, mussels, shrimp, fruits, vegetables, soups, sweets, etc.) SEMIFORMAL DRESS CODE Tickets are $70 and include: 2 group lessons, dinner – hot buffet, fashion show – ballroom, latin dance dresses, line dancing, DANCE SHOW, DJ -playing ballroom, latin and salsa strict tempo music: salsa, cha cha, samba, rumba, jive, meringue, waltz, tango, foxtrot, quickstep, viennese waltz, hustle, swing, bachata. There will be a cash bar. Purchase TICKETS IN ADVANCE by pohone at 416-878-4443, online by Pay Pal from our website, www.danceart.ca or from DANCE ART location, every Mon 7-9pm, THU 7-8PM, Fri 7-9pm or Sat 11-3pm.